SunStar Philippines, the digital unit of the SunStar network of community newspapers, looks into the habal-habal (motorcycle taxi) phenomenon as this ubiquitous two-wheeler invades the highly congested urban areas. This is the first of three parts of a multimedia report on the new "king of the road" that was originally published on April 3, 2017. AT FIRST glance, it's just like any other motorcycle navigating a busy street in Cebu City -- except that there is an extra helmet dangling from the handlebar or from the driver's arm. Then the driver calls -- "motor (motorcycle), ma'am/sir?" To many commuters in the Visayas and Mindanao, this two-wheeler is called the habal-habal. Habal is the Visayan word for the mating act of animals and habal-habal, given the Visayans' propensity for doubling a word to diminish its meaning, refers to the crammed sitting position of the riders. The habal-habal is widely used -- albeit illegally in the Philippines at present -- to transport people and goods for a fee. Its operations used to be limited only to the upland and rural areas, where there is no public transport system and narrow dirt roads are nearly impassable for three- to four-wheeled vehicles. Up to four or five passengers, including children, can be crammed onto the vehicle at one time. No helmets are required since implementation of the law mandating the use of helmets is not strictly implemented in rural areas. In Mindanao, the habal-habal can carry up to 12 passengers and is known as the "Skylab," reportedly a play of the words "sakay na, lab (hop on, love)." This is where Filipino innovation comes in. To accommodate as many passengers as possible, wooden planks are attached to the motorcycle to serve as seats. In Manila, the nation's capital, and in other key cities in developing Asian countries, the habal-habal is known as the motorcycle taxi. 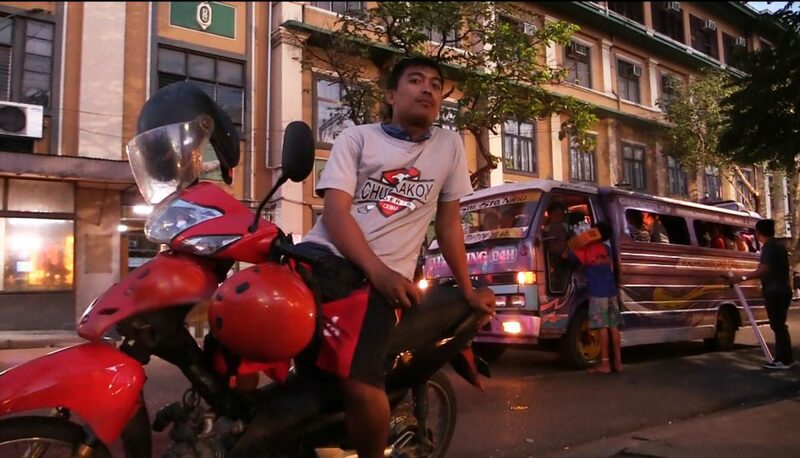 As traffic conditions worsened and commuters suffered from the lack of an efficient mass transport system, the motorcycle taxi invaded urban areas. In Metro Manila, commuters can avail themselves of its services mostly through unregulated app-based ride-sharing services GoBounce and Angkas, which operate in key cities. 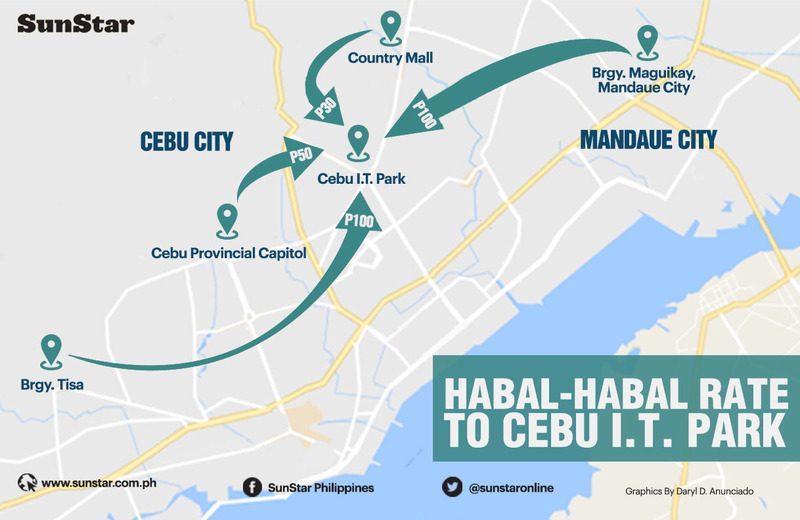 In Cebu City in central Philippines, the habal-habal could be found at almost every street corner, in front of or near schools, shopping malls, and business process outsourcing (BPO) buildings. "They even have informal terminals," said Ahmed Cuizon, Central Visayas regional director of the Land Transportation Franchising and Regulatory Board (LTFRB). Some drivers, who have organized themselves, ply a specific route and have standardized rates. They wear uniform long-sleeved jerseys in a bid to appear professional. Others, who don't belong to any group, cruise the city's major streets in search of passengers, just like a taxi. To harried urban commuters who need to beat the traffic, the habal-habal or motorcycle taxi is the new king of the road -- a title currently held by the public utility jeepney. RATES. Habal-habal fare from Tamiya, Lapu-Lapu City. RATES. Habal-habal fare to IT Park. Being a two-wheeler, the motorcycle taxi is able to weave through stationary or slow-moving traffic, easily changing from one lane to another. 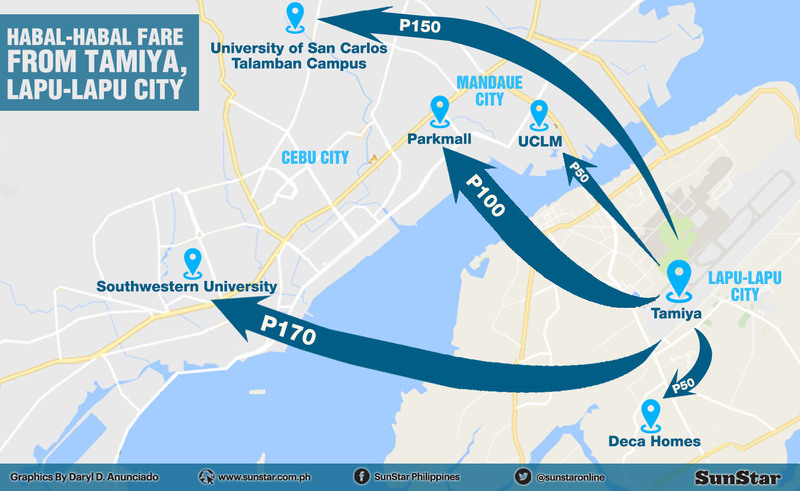 It can take a commuter to practically anywhere he needs to be, at a fraction of the time that it would take a regular taxi to get to the same destination under heavy traffic and for the same, or sometimes higher, rate. Unlike its counterparts in the mountain areas, the habal-habal in the city can carry only one passenger at a time. Both driver and passenger have to don helmets, hence the extra helmet that the driver always carries. But when night falls and there are no traffic enforcers in sight, some drivers cheat and carry at least two passengers at a time in violation of Land Transportation Office rules. 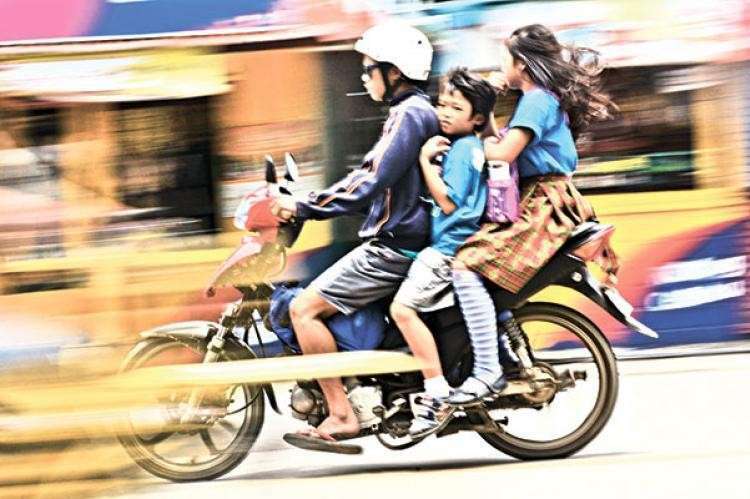 The problem with this mode of transport is that it is illegal and unregulated in the Philippines. The Land Transportation and Traffic Code, or Republic Act 4136, prohibits the use of a motorcycle for public transport. Section 7 of the Code states that motorcycles, scooters or motor wheel attachments "shall not be used for hire underr any circumstances and shall not be used to solicit, accept, or be used to transport passengers or freight for pay." "As far as we are concerned right now, this mode of public transport is still illegal," Cuizon said. A habal-habal or motorcycle taxi carries a private license plate, not a "for-hire" plate. Since it is an illegal public transport vehicle, Cuizon said it is not covered by a passenger personal accident insurance that is required for public utility vehicles. "In case of accidents, passengers who get injured or killed do not get any kind of indemnification," Cuizon said. The risk of accidents is high, given that a lot of drivers did not undergo safety seminars. Many are unlicensed and reckless. Worse, their motorcycles may not be registered and do not have even the compulsory third party liability insurance. "Right now, since there is no regulation, the passenger is at the mercy of the habal-habal driver who in the first place may not be a professional driver. No insurance. No nothing," said lawyer Ariel Inton, founding president of the Lawyers for Commuters' Safety and Protection and former LTFRB board member. 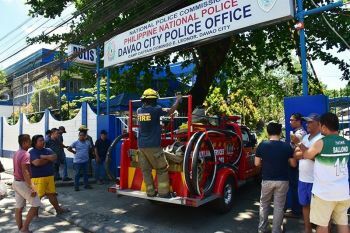 On top of this, there are security concerns as some drivers are allegedly involved in illegal drugs and other criminal activities, said Cebu City Councilor Pastor Alcover Jr.
Should government legalize and regulate the habal-habal to ensure public safety? Or should government ban this vehicle as a public transport mode because of the risks it poses to public safety? Inton, a former member of the LTFRB Board, said government will have to decide soon. IT HAPPENED so fast. 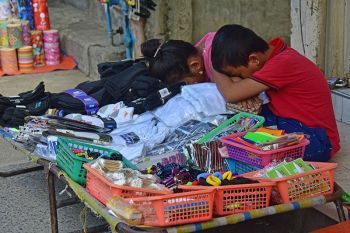 In an instant, two boys lost their mother in a gruesome accident in Cebu province in central Philippines last year. Janet Eludo, 38, and her two sons were riding on a habal-habal (motorcycle taxi) toward their home in Camella Homes Subdivision in Talisay City, in southern Cebu, when the accident happened. The motorcycle, driven by Juren Manggay, was following a mixer truck while maneuvering a steep uphill road toward the subdivision. Manggay was trying to overtake the truck when they encountered another motorcycle headed downhill. Manggay tried to return to his lane quickly, but the sudden turn threw Eludo, who was sitting at the tip of seat, off the vehicle. Upon hitting the ground, Eludo was run over by the truck. She died instantly, her body mangled. During police interrogation, Manggay admitted he had no driver's license and the motorcycle he was using was unregistered. Manggay also violated Republic Act 10054, which mandates all motorcycle riders to wear a protective helmet, and the Land Transportation Office (LTO) rule that only one back rider is allowed. The accident served as a grim reminder to the riding public and motorcycle drivers to wear helmets and follow traffic rules at all times. In February 2017, habal-habal driver Mely Mahusay, 45, died and his passenger, Jonel Eyac, hurt in a motorcycle crash in Talamban, in northern Cebu City. The habal-habal collided with another motorcycle driver by Police Officer 1 Jeremy Amahoy. Mahusay was headed to Cabancalan when Amahoy's motorcycle appeared in Mahusay's lane and hit his motorcycle. Eludo and Mahusay were just among the many victims of a motorcycle-related accident in the country. The World Health Organization, in its Global Status Report on Road Safety in 2015, said half, or 53 percent, of reported road traffic fatalities in the Philippines were motorcycle or tricycle riders. 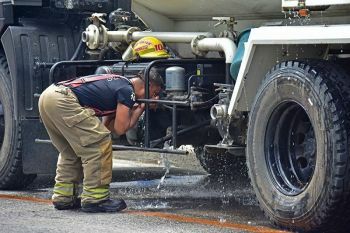 In Cebu City, the Cebu City Traffic Office (CCTO) recorded a total of 12,094 vehicular accidents last year, which resulted in 58 deaths and 3,385 injuries. The CCTO said three out of 10, or 300 out of roughly 1,000, accidents each month involve motorcycles. 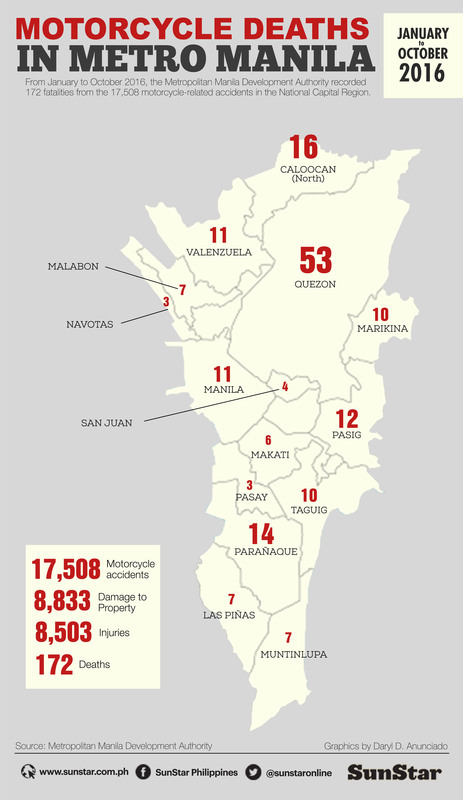 In the last quarter of 2016 alone, 957 out of the 3,050 vehicular accidents in Cebu City involved motorcycles. In Metro Manila, one in five road crashes in the first quarter of 2016 involved motorcycles. The Metropolitan Manila Development Authority (MMDA) recorded a total of 91,725 road accidents from January to October 2016. Of the number, 17,508 were motorcycle-related, which claimed 172 lives and injured 8,503 people. The Motorcycle Development Program Participants Association also recorded an average of 66 motorcycle accidents daily in 2016, with almost half of the total number of victims losing their lives. With the proliferation of habal-habal in the cities, the safety of the riding public has become a major concern.